Muskets of the Crown is a non-profit organization dedicated to preserving the life of the 18th-century British Soldier in North America. and the 84th Royal Highland Regiment of Foot, Light Infantry Company (1776-1783). View the calendar of events for this year's Muskets of the Crown reenacting season. Learn about the companies we portray, as well as the whole family's role in camp life. 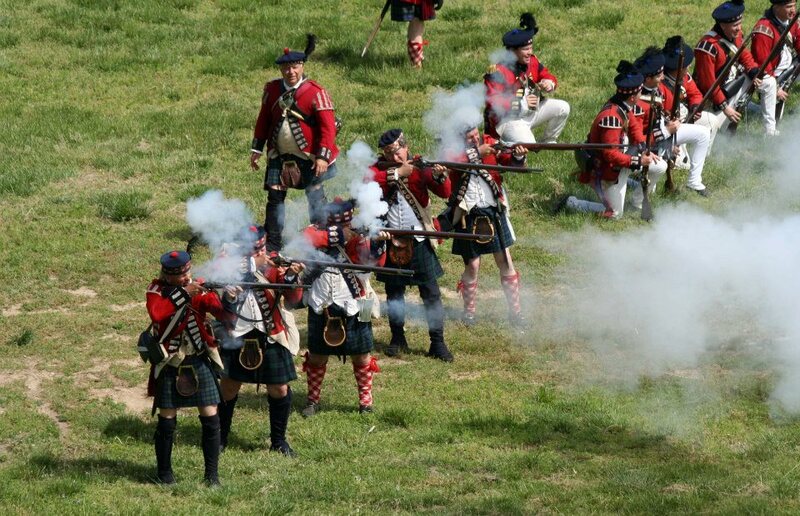 Contact us to learn more about historical reenacting with Muskets of the Crown. For ere morn I will be far away."